2017 Ford F-350 King Ranch For Sale In Vernon, Kelowna, Okanagan, BC. 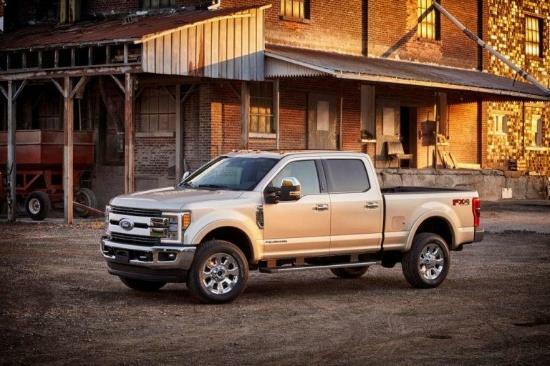 The king of trucks, the 2017 Ford F-350 King Ranch, seamlessly blends elegant styling, rugged capability and modern technology to build a vehicle that is ready for anything. In addition to the ability to tow and haul just about any load, this truck offers sophisticated style and comfort to make any task more bearable and seating for six with your choice of Crew Cab or SuperCab and 6’3/4” or 8’ box. Greeting you is the two-bar grille with Ford emblem proudly displayed on the 2017 Ford F-350 King Ranch. An aggressive stance showcases the power of this pickup while practical features such as a power locking tailgate with tailgate assist appeal to buyers. Distinct style is found through the two-tone lower accent paint and accent colour bumpers. This model also comes with LED box lighting for those times when you need to work late. Power heated mirrors feature LED spotlights for enhanced visibility. 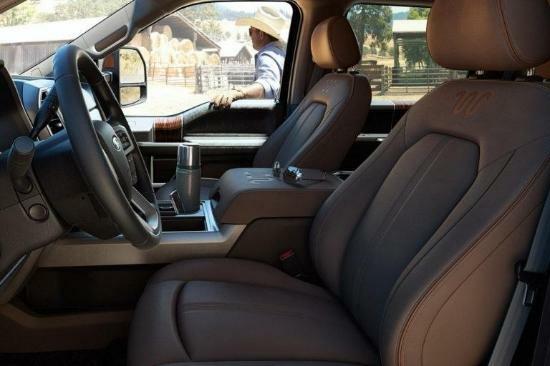 Contrasting the capability of this truck, the 2017 Ford F-350 King Ranch offers a luxurious space in the cab. Leather seats feature premium craftsmanship while the 10-way power adjustable driver seat provides optimal positioning. Heated and cooled front seats ensure year-round comfort. Keeping you entertained and connected during each work day in the 2017 Ford F-350 King Ranch is the SYNC 3 system. Listen to your music with clarity thanks to the Sony audio system with 10 speakers, including a subwoofer. Easily find your way with the navigation system as you listen to SiriusXM satellite radio for more entertainment options. 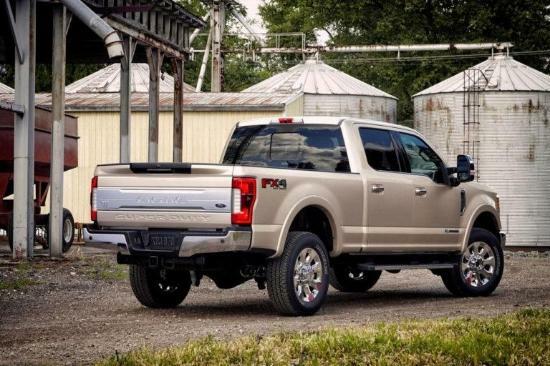 Enhance the capability and versatility of the 2017 Ford F-350 King Ranch with genuine Ford accessories. 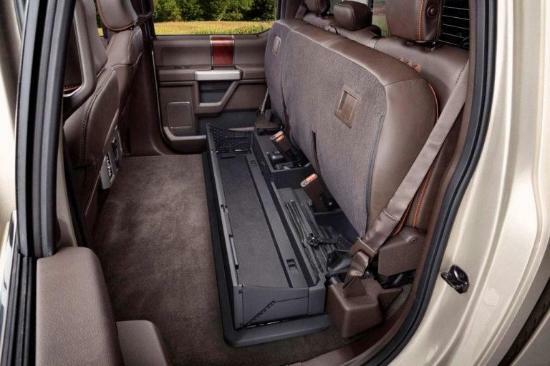 Add a spray-in bedliner to protect your truck box from scratches and dings. With a tool box, you always have the right tool close at hand while keeping everything dry and safe. Consider remote start so you can warm up the engine and the cab from inside your home or office. Two engines give you plenty of choice for the 2017 Ford F-350 King Ranch with one diesel and one gas option. You also have the ability to select either 4x2 or 4x4 for the capability you need to go off-road. With a Torqshift six-speed SelectShift automatic transmission, smooth handling is found as you pull a heavy load or ride empty. The 2017 Ford F-350 King Ranch is recognized for its outstanding value and capability. Numerous safety features provide peace of mind when you’re on the road with the 2017 Ford F-350 King Ranch. Every 2017 Ford F-350 King Ranch is backed by Ford’s superior warranty. Make every job a little easier when you drive the 2017 Ford F-350 King Ranch. No matter what the task requires, this truck is equipped with impressive capability and dependability. In addition, you can relax on the way home from a long day in premium comfort. Stop in to ﻿﻿Watkin Motors Ford﻿﻿ to see all of the latest Ford trucks. Whether you’re looking for impressive capability or exceptional style and comfort, the 2017 Ford F-350 King Ranch has it all. Find out more about this model and any Ford vehicle at your local Okanagan Ford Dealer – Watkin Motors Ford.